Scorsese To Direct Serial Killer Movie SNOWMAN | Birth.Movies.Death. Marty signs on to helm an adaptation of a best selling Norwegian mystery novel. Hugo doesn't mean Scorsese is done making grown up movies. In fact his next film might well be an adaptation of a serial killer novel, Snowman, written by Jo Nesbo. The novel, set in Oslo, is part of Nesbo's Harry Hole (WHAT) series, and in this one Hole is on the trail of what may be Norway's first serial killer. The killer murders married mothers and leaves a snowman at the scene of the crime. Matthew Michael Carnahan is writing the adaptation, which apparently will not be set in Norway. Scorsese got Nesbo's blessing to make that change. 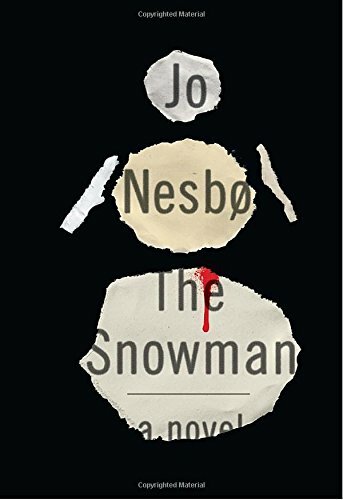 Snowman will be the first Nesbo novel adapted in English, but it won't be the last - there's an English remake of Headhunters, based on Nesbo's standalone novel (and a big hit at Fantastic Fest!) coming soon. It's not clear how 'next' Snowman is when it comes to Scorsese's schedule, but it could get going soon.